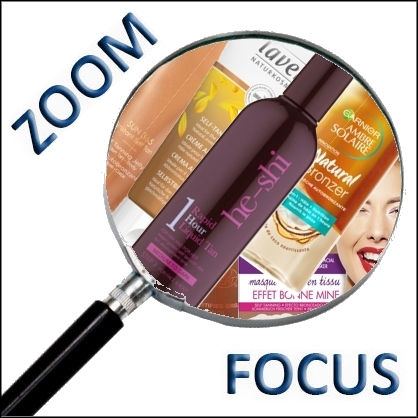 Home Articles Products Focus on French Launches Self-tanners, the come back! It must be recognized that the self-tanner remains the fastest and most economical solution to revive an extinguished complexion when the sun comes out, especially when you don’t have time to put on makeup! With always the double option: progressive self-tanners to reapply every two or three days (the most natural, especially for fair skin), or immediate self-tanners (more concentrated in DHA, the result appears in two to three hours, to be applied approximately once a week, depending on the desired tan). 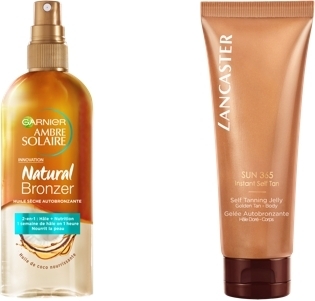 Well enveloping, ideal for massage (therefore, a better uniformity of the tan) and easy to use, it can be found in supermarkets at Garnier Ambre Solaire (Natural Bronzer Self Tanning Dry Oil, 150 ml, €11.70) as well as in certified organic cosmetics (Tanorganic Self Tanning Face and Body Oil, 100 ml, €24.92) or in Premium distributors, at St. Gallen.Tropez (Self Tan Luxe Dry Oil Bronzing Oil Dry, 100 ml, €38, at Sephora), or Lancaster (Sun 365 Self Tan Progressive Body Gradual Self Tan Lancaster, 150ml, €32). Coty Group’s flagship brand is also revising its entire Sun 365 self-tanning range, with two specific lines for the body or face: Instant Self-Tan (quick tanning in a few hours) and Gradual Self-Tan (progressive tanning). In the first, there is a tinted gel with pearly pigments (Instant Body Self Tanning Gel, 125 ml, €32) and a cream gel with a universal shade and glowy finish (Instant Face Self Tanning Gel Cream, 50 ml, €37). In the second, in addition to the oil, a serum with golden pigments (Sun 365 Progressive Self Tanning Serum for Face, 30 ml, €39). The additional benefit of these two ranges: they prepare the skin for sun exposure (but do not protect it from the sun, need I remind you!). Let’s start with the English brand expert in organic and vegan self-tanning care since 2011: Vita Liberata, which offers two innovations: self-tanning wipes (Phenomenal Biodegradable Infused Self Tanning Wipes for Face and Body, €9.90 per pack of 4 / €16.50 per pack of 8) and a blur that is a real complexion enhancer product containing a touch of self-tanning, with a tanned result that lasts up to five days (Beauty Blur Sunless Glow Face, 30 ml, €36). Practical for travel or weekend use and easy to use, the wipes are the mobile solution for a tan without transfer and long duration (up to 10 days after its application). 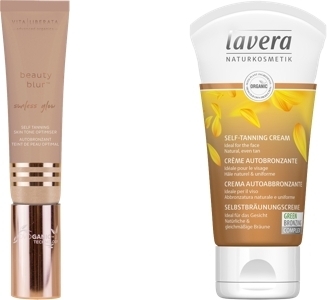 Lavera self-tanners have been revamped with a new complex combining DHA, organic erythrulose obtained by fermentation and organic vegetable oils (sunflower and macadamia): Face Self Tanning Cream (50 ml, €10.99) and Body Self Tanning Lotion (150ml, €13.99). 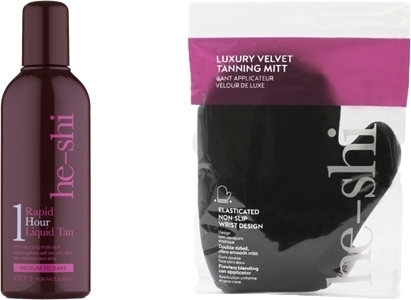 If a traditional self-tanner can take up to seven or eight hours to reveal the tan, the English brand He-Shi has thought of the most rushed with this face & body self-tanner that only needs one hour to work (Rapid 1 Hour Liquid Tan, Instant golden self-tanner with ultra fast development, 150 ml, €28,50 at Parashop). The applicator glove that comes with it is far from being a simple accessory, it is a real plus for the homogeneity of the result, moreover most of the expert brands of the self-tanner offer their own. He-Shi’s has been particularly studied. Made of very soft velvet, with a specific insertion for the thumb, it is easier to navigate all the curves of the body. Double-sided (very practical for left-handed people! ), its elastic wrist allows a perfect fit of the glove, thus limiting the risk of demarcations a little more. Also well seen is its inner lining, which has a protective film to ensure that hands remain spotless (He-Shi Luxury Velvet Applicator Glove, €7.50). St. Tropez offers Sephora a water gel with a tropical scent (the fragrance developed with Givaudan really makes the smell of DHA undetectable), the result of which comes in just three hours (Self Tan Purity Water Gel Body Tan, 200 ml, €52), as well as a Bronzing Lotion Undr the Shower in a new Medium shade for a deeper tan (Gradual Tan In Shower, 200 ml, €28). 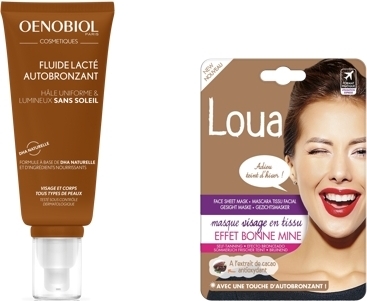 Practical, the face and body formulas allow you to apply your self-tanner in a single step, from head to toe (Fluide Lacté Autobronzant visage et corps d’Oenobiol Cosmétiques, 100 ml, €19.90). Finally, in case of disappointing results, St. Tropez really thinks of everything with its Tan Remover Exfoliating Self Tanning Foam (200 ml, €26). This foam based on salt bicarbonate and urea (exfoliants), probiotics and cotton and aloe vera extracts (moisturizers), gently but effectively removes all traces of tanning, even the darkest ones.